I finish this year lighter and fitter than when it commenced. I partially have Diana Gabaldon and Davina Porter to thank for this. I listened to the audio book Dragonfly in Amber (the second book of the Outlander series) while pedalling on my exercise bike and jogging and walking around my local streets for forty enjoyable hours. On many days, it was my interest to see what was happening in the lives of Claire and Jamie Fraser as they fought 18th Century foes, that compelled me to put trainers on and get active. This of course touches on the issue of audio books, and are they the same as reading. The answer is simple to me; of course listening to an audio book is not the same as reading, but what a brilliant way to consume a story! The Outlander series is a timeslip series that follows Claire Randall who is an English nurse from the 1940s. While on holiday with her husband in Scotland she stumbles across a circle of stones that transport her back to the mid eighteen century, where she becomes part of the world of Scottish highlanders and their struggle against the English powers. Claire falls in love with the incredibly dashing, heroic and endlessly wonderful highland lord Jamie Fraser. Dragonfly in Amber picks the story up in the 1960s, where Claire has returned to Scotland with her adult daughter. Claire's daughter knows nothing of her mother's past in a different century. With the help of a historian, Roger, Claire brings us up to speed with events that transpired between the time her and Jamie left Paris at the end of Outlander, their efforts to stop the Jacobite rebellion that culminated in the bloody battle of Culloden in 1746. We also learn why Claire returned to the twentieth century. 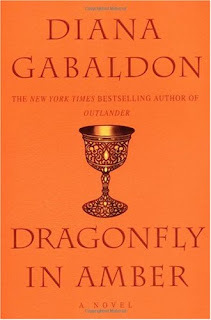 Wonderfully, Gabaldon leaves the reader with a massive cliffhanger at the end Dragonfly in Amber when the historian Roger, who has been listening to Claire's tale, reveals something that rocks her to her very core. Gabaldon has a talent for sustaining drama, and with Jamie, Claire and their extended entourage, she has created memorable characters that I kept wanting to rejoin on their seemingly endless adventure across Europe. With audio books the quality of the narration is king (or queen as the case may be) and Davina Porter is simply superb as the narrator of this forty hour epic. In addition to her remarkable skill at character voices, she injects the narration with the right sense of warmth and fun. For me, audio books are about sheer enjoyment. I still read as many books as ever, the audio books allow me to enjoy stories at times when I wouldn't be able to read, such as exercising, doing chores or long car journeys. I am currently listening to Ken Follet's World Without End. 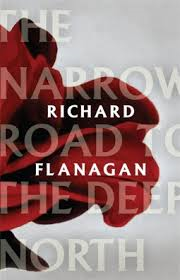 Like Dragonfly in Amber, it is an audio book without an apparent end, but I am loving it. It is just so much fun and transforms forty minutes, of otherwise tedious exercise, into something that I can't wait to embrace each day. Davina Porter is an amazing narrator isn't she! I have listened to A Breath of Snow and Ashes, all 48 CDs!